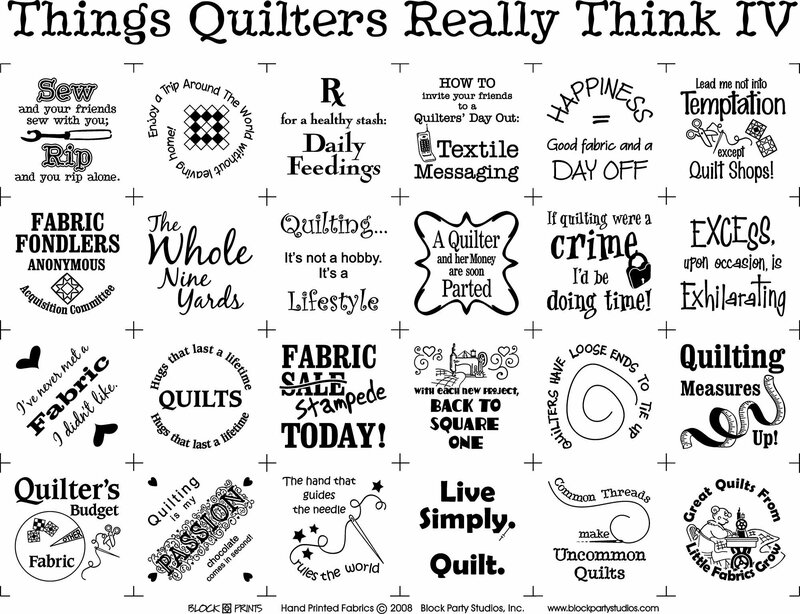 Out of Jeanne’s cerebral attic comes our next iteration of our Things Quilters Really Think series, number four. It’s quilter’s hilarity printed on fabric! This fabric panel can be used with our TQRT pattern or freestyle! We’ve seen blocks from our other TQRT iterations, II and III (the original is retired), on purses, pillowcases and vests! The panel is printed in red or black on natural or white fabric.